A particularly nice example of these ever popular Edwardian garden flats with a private entrance and generous garden. Many excellent interior improvements are apparent including a recently refitted bathroom, and the owners have created a very homely comfortable feel. These flats are known for their good ceiling height, storage and relaxed kitchen / entertaining space at the back opening to the garden. The property is situated in the upper section of Emlyn Road near the junction with Cobbold Road. Good local shops on Askew Road and both Wendell and Ravenscourt Parks are within a short walk, as are numerous good schools and the shopping and transports hubs of Hammersmith and Westfield. Stamford Brook tube (District Line) is an approximate 10 minute walk, as is Turnham Green Terrace (District and Piccadilly Lines). 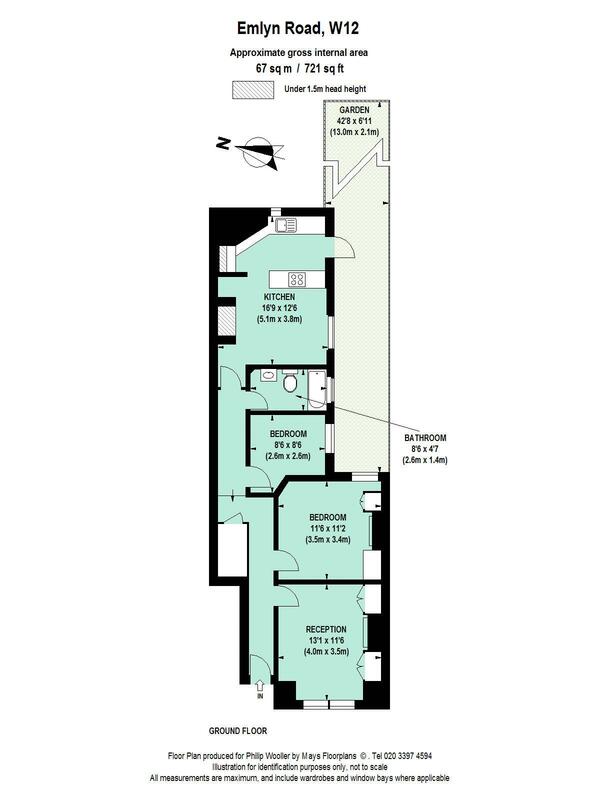 721 sq ft / 67 sq m approx.